This is a perfect gift for graduations, retirements and quarterly or annual awards or a great addition to any memorabilia collection. 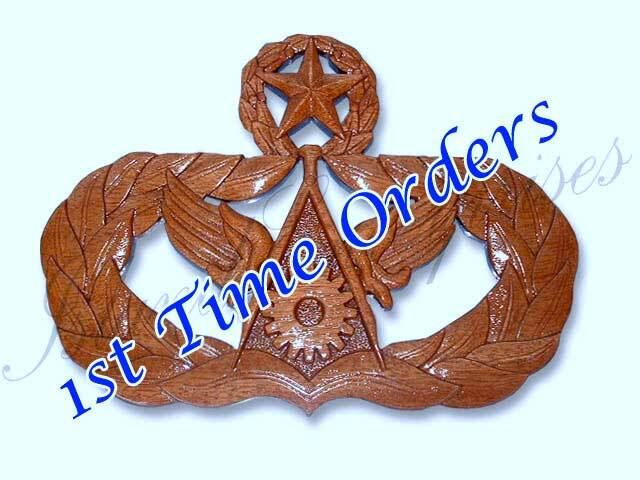 This is handcarved from a solid mahogany wood that is kiln dried to prevent from warping. Most people think they are machine made. 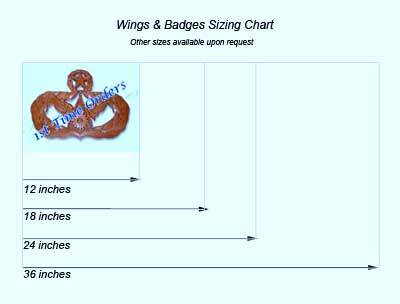 Our artists and carvers can create a replica of any wing or badge you send us.